My makeup looks and product reviews using Urban Decay products. Naked palettes? For sure! A cult makeup product is considered to be so good, it’s a classic. A cult classic. An awesome product. A product you can’t live without. Obviously cults are not a good thing, but when there are so many people raving about that one product and swearing by it… well, I guess you can think of it as a cult. The good kind – the kind that shares great makeup product tips and helps you to improve your life. Through awesome makeup products. Because at least my life changed when I found these products. Are you ready? Here are some cult products that are definitely worth the hype. 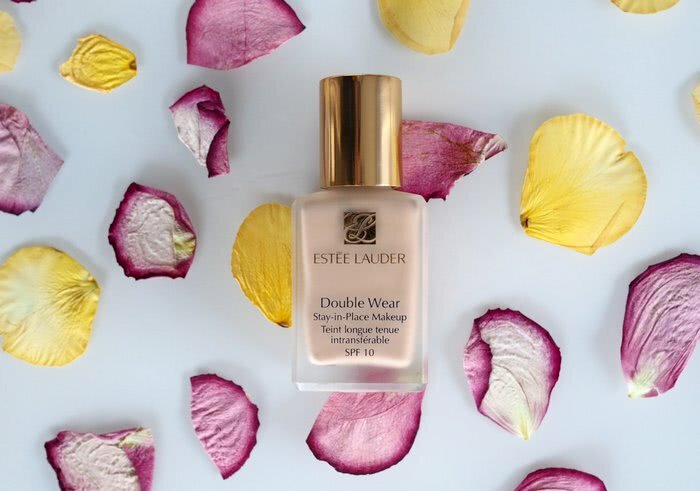 Estee Lauder’s Double Wear foundation is as good as they say. It’s probably the most long-lasting foundation I have tried. It also provides full-coverage, it leaves a beautiful semi-matte finish and it’s quite easy to blend. 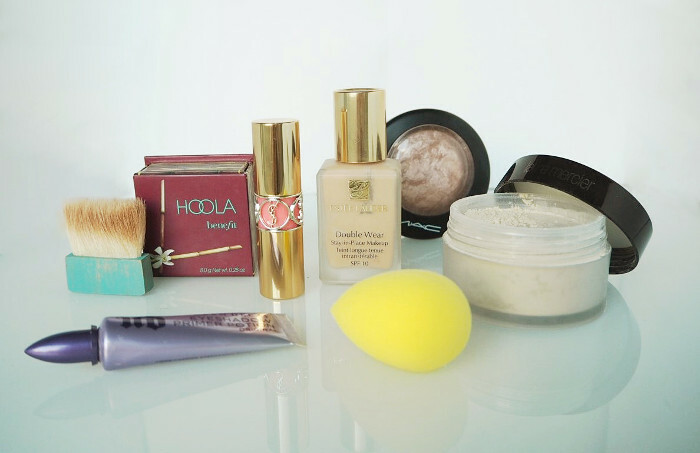 It’s one of those foundation that are great for an important day (such as a wedding!) or for photoshoots (perfect-looking skin guaranteed). The only downside to it is that if you’re prone to breakouts, it might break you out. Read my full review with before and after photos on it here. 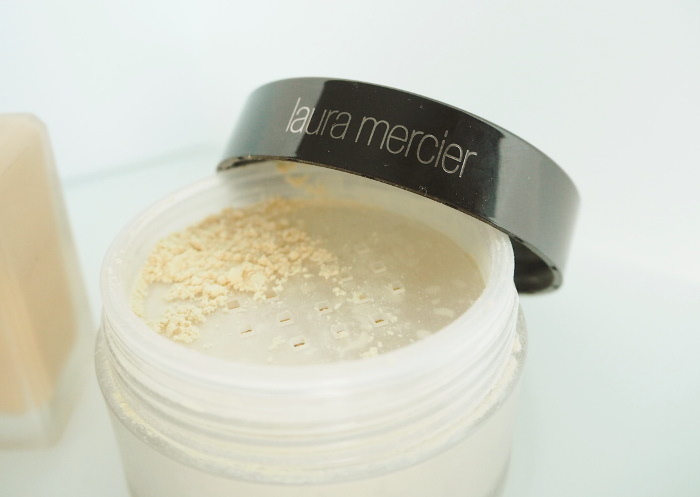 Laura Mercier’s loose powder is a great powder. You can find great powders with less money, but to be honest, there are no other downsides to this product except it’s price. The packaging is nice and luxurious. The powder doesn’t look that fine, but it is. It leaves the smoothest most beautiful finish on the skin. Whenever I’m wearing this powder, I just want to touch my face and feel the smoothness. It also keeps my skin nice and matte throughout the day. 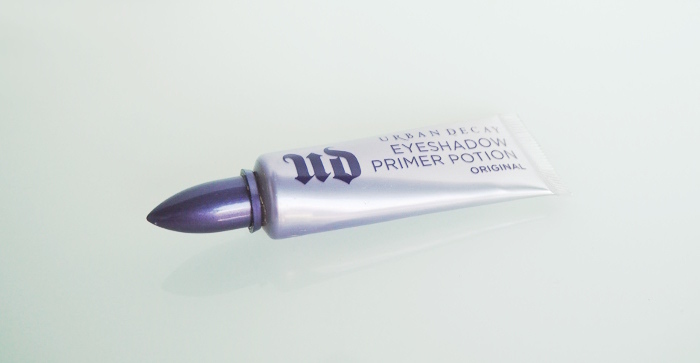 Urban Decay’s primer potion is a no-brainer to me. I am not letting go of this eyeshadow primer, ever. I trust it and I never do eyeshadow without it. Actually even when I’m not wearing any eyeshadow, I apply some of this on my lid. Just because it keeps my lids non-oily. Next time I’m going to try out their Eden version though, which provides more color and coverage. This original version is quite colorless. 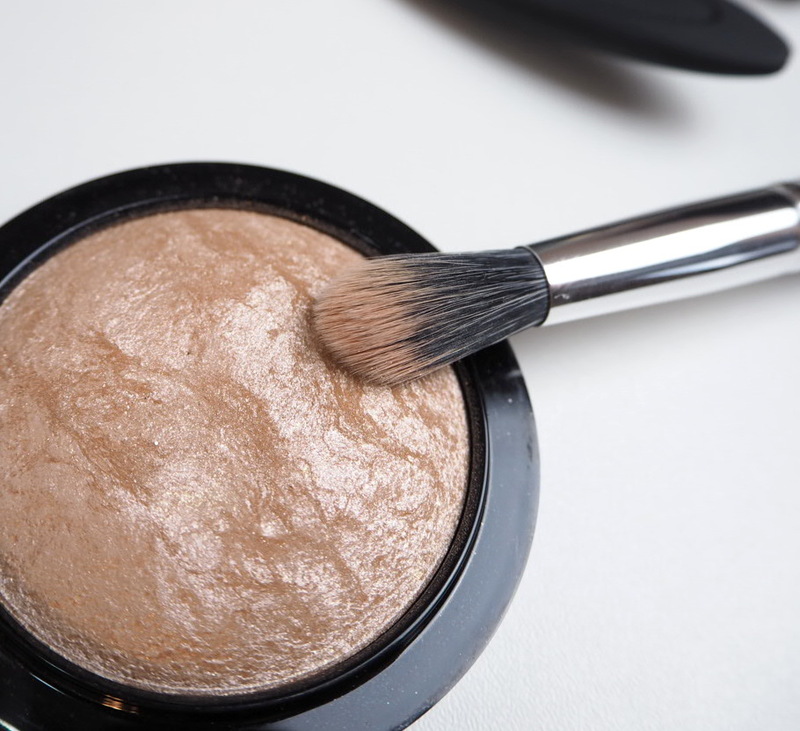 MAC’s Soft & Gentle highlight is a warm peachy/golden highlighter, that suits neutral warm and olive skintones. It’s not too golden, but it’s also not too light. The shimmer it provides is very fine and looks beautiful on the skin. It’s also great as an inner corner highlight or as an eyeshadow! Sometimes I also apply it on top of my eyeshadow on my lid – and it works great like that as well. Benefit’s Hoola bronzer is a classic matte bronzer that I actually mainly use for contouring. Since I have some warmth on my skin, a warm bronzer looks more natural on my skin than some cool toned contour shade. I also sometimes bronze with this. It blends like a dream, it has great pigment, but it’s not too crazy and I actually also like the brush that comes with it. It’s surprisingly good! And it has a great shape for carving out those cheekbones. Beautyblender is a classic and if you haven’t tried it yet, you need to. It makes applying foundations and any cream products so easy. 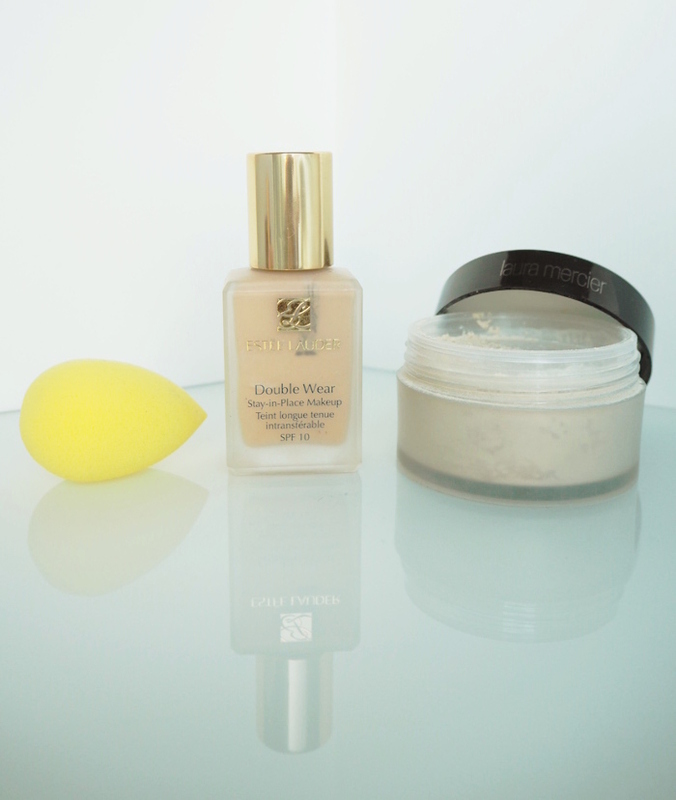 It’s also great for any thick foundations since it kind of sheers them out. The downside to it is that it’s a bit pricey considering one sponge lasts only for about three months. I almost want to learn to live my life without this and start using my foundation brushes again (because it would be more ecological), but I just can’t seem to keep away from this amazing sponge. P.S. Luckily there are some options for beautyblender that are almost just as good. In this post I shared my two favorite makeup sponges – the other is fourth the price of a beautyblender! I bought my YSL Lipstick as a Christmas present for myself. So far it’s the most I’ve spent on a lipstick, but I think it’s worth it. 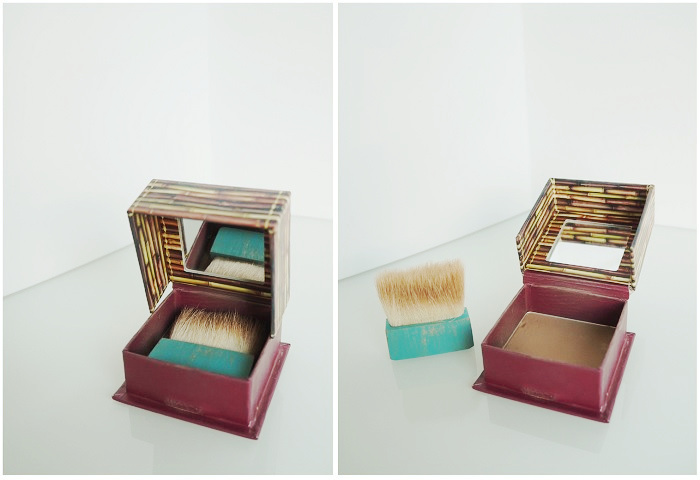 The packaging is everything – it’s so luxurious and I love to see it on my makeup table or keep it with me in my purse. The consistency is the lipstick is very nice. It feels smooth and moisturizing on my lips. It’s not the most long lasting, which I don’t mind, because it wears off quite nicely and I love to reapply it. The scent was not my favorite at first – it’s this fruity melony scent (and I’m so used to vanilla I guess), but now I’ve learned to like it. My shade is Corail a Porter, 41, which is this beautiful coral color. 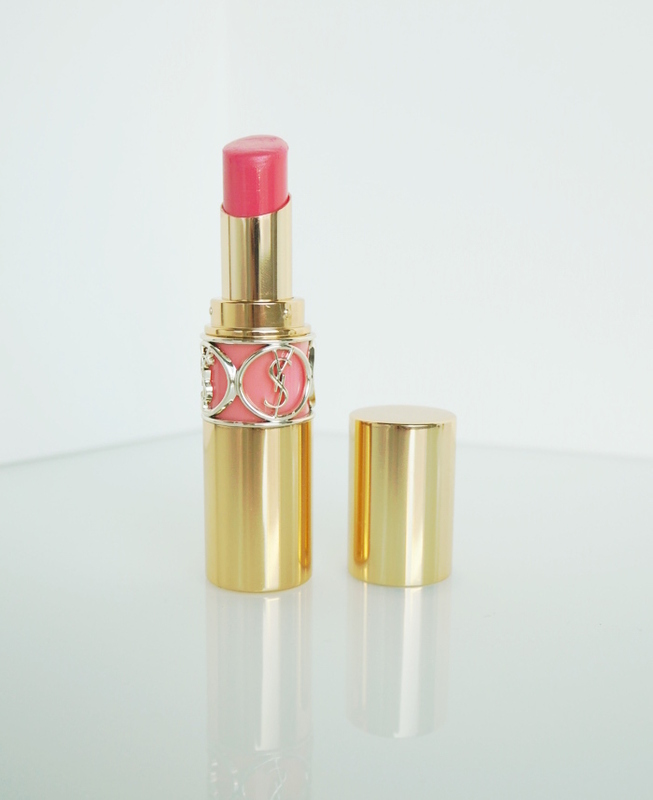 It’s quite pink on the lips, but with a touch of coral. What are some cult makeup products you love? Or is there something missing from this list? Let me know in the comments! How long does it take for me to do my makeup? Green is a surprisingly easy color to pull off. It goes beautifully with warm colors and gold. I find myself reaching for green colors especially during the holidays. There’s just something super festive about it – especially if you pair it with red lips. 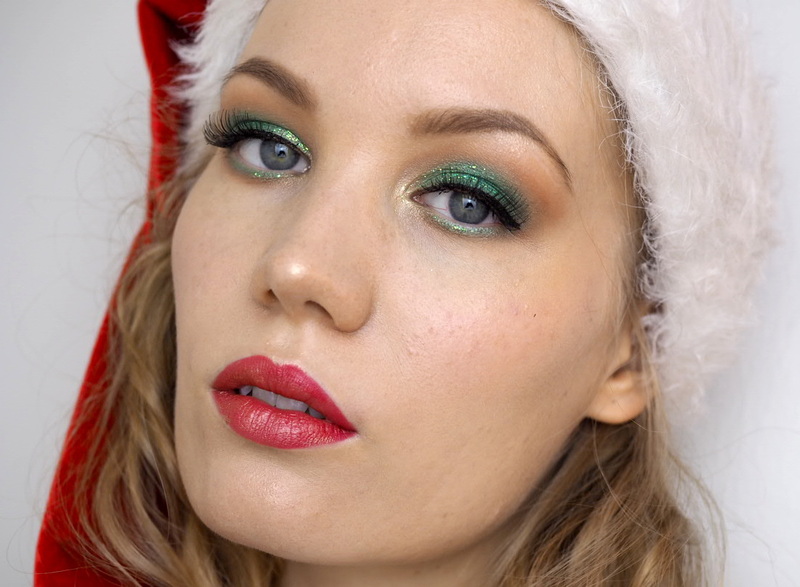 I’ve also been asked to do a green eyeshadow tutorial – so here it is. I actually used just three colors here: warm orange shade, green and gold. And glitter. I just had to – since for once my weird-colored glitter liner matched the look perfectly. 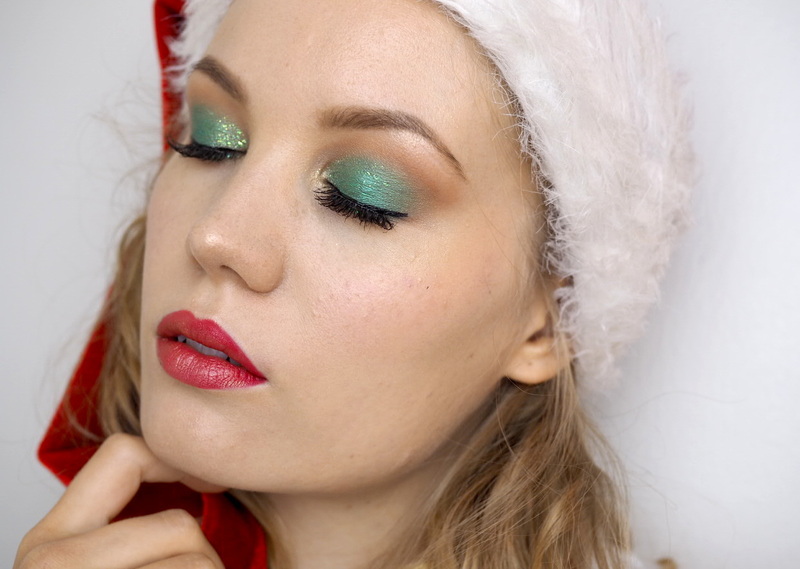 This post is also a part of Finnish beauty blogger’s holiday makeup collaboration. We all did different party looks for the season. Links to other bloggers’ posts are at the end of this post! 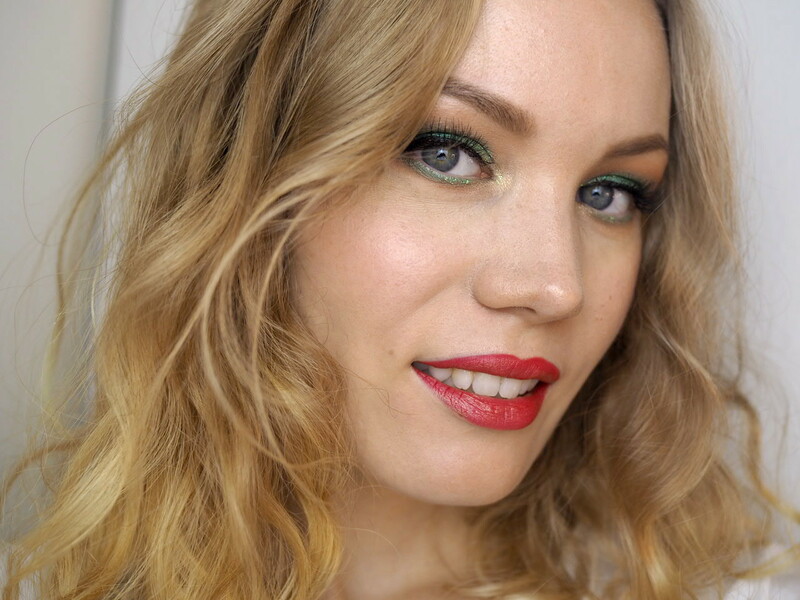 Green & gold makeup tutorial – with a touch of glitter! 1. Start by applying a warm orange shade as a base for your look. This color acts as your ‘border’. My eyes are deep set so I apply the color pretty high. Blend this color well so that there are not any harsh lines. 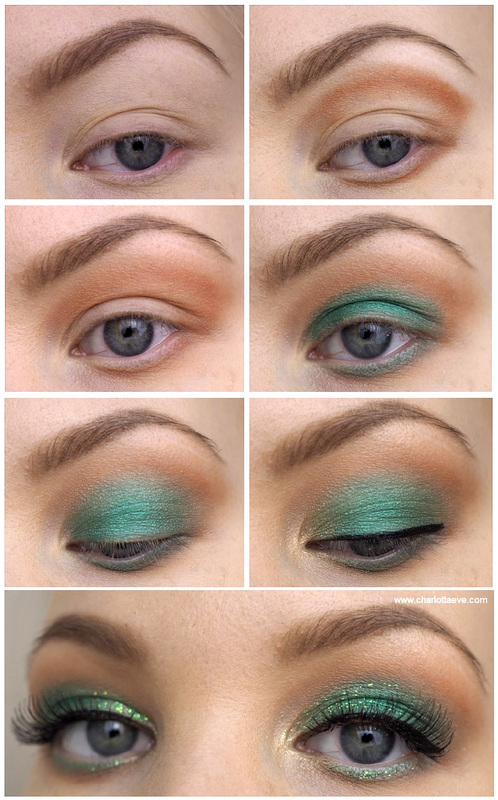 Do the same to your lower lash line, but leave a gap for the green eyeshadow. 2. 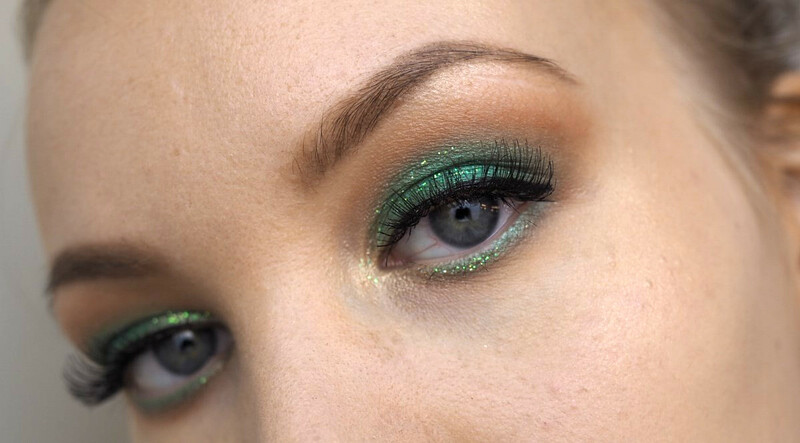 Apply a green shade all over your lid and on your lower lash line. Basically fill up inside the lines you created with the orange shade. Blend carefully the edges, but don’t overdo it. If you blend these colors too much, it can look muddy. 3. Apply a gold shade to your inner corner and bring it on the lid slightly from the inner corners. You can also apply some gold on your brow bone if you like. 4. Apply glitter on about 1/2 of your lid. Add a touch of glitter on your lower lashline as well. This is easier with a glitter liner. 5. Line your eyes, add mascara and lashes. Simplified version of color and glitter placement. The white dots is where I applied glitter. To bring this look together, I applied the same gold color as my highlight on my cheekbones, nose and cupid’s bow. I even applied it on top of my red lips. My nails also matched the look. Although no one knows if I only painted one hand out of laziness. Most of the products I’ve received as pr-samples.